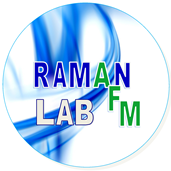 Research carried out in the Raman-SPM laboratory covers a wide range of areas from physics, chemistry, biochemistry, nanomedicine and materials science. In our projects, Raman spectroscopy and AFM microscopy are used as advanced characterization tools in nanoscience and biomedical research projects. 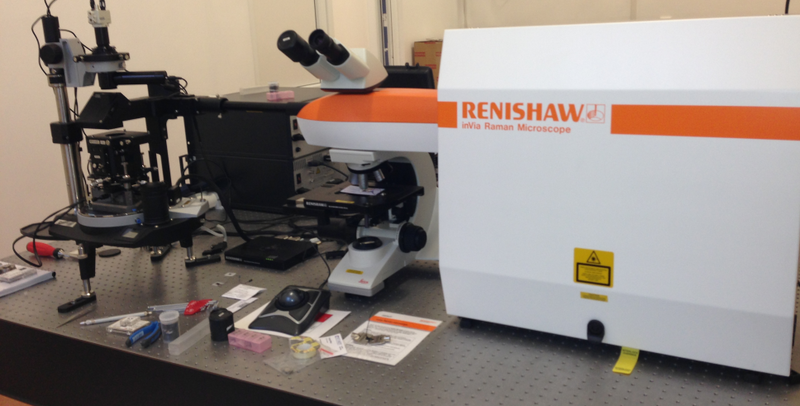 The equipment available in the lab is a multilaser confocal Renishaw InVia Reflex Raman spectrometer coupled with the NT-MDT Ntegra Spectra SPM microscope. The Raman-SPM instrument combines high resolution AFM imaging capabilities with the structural characterization of the sample down to single molecule level with Raman spectroscopy. Both AFM and Raman spectroscopy methods are non-invasive label-free approaches. The Raman-SPM equipment is capable of measuring spectroscopic properties of a sample simultaneously with the topographic image in the absence of labeling or contrasting. The system has been achieved using funding from Romanian National Authority for Scientific Research, contract Integrated Network For Interdisciplinary Researches (INIR), Sectorial Operational Programme "Increase Of Economic Competitiveness". It was installed in December 2012 and allows cutting edge research in a wide variety of research fields, being automated for ease of use for both point analysis and mapping. It is located within the main building of the Babeş-Bolyai University. The experimental equipment of the Raman Lab is accessible to other researchers in the Babes-Bolyai University, allowing them to carry out state-of-the-art Raman spectroscopy and AFM microscopy as additional tools in their research. Moreover, students for master and PhD degrees are trained and can use the equipment independently for their research needs. This way we serve a central goal of our mission to educate the next generation of scientific and technological leaders in biomolecular physics, nanoscience and nanotechnology. These facilities are used to provide services to government and industry, as well.